Beyond words is a collaboration of musicians and poets who wish to challenge eachother to go deeper into their craft. 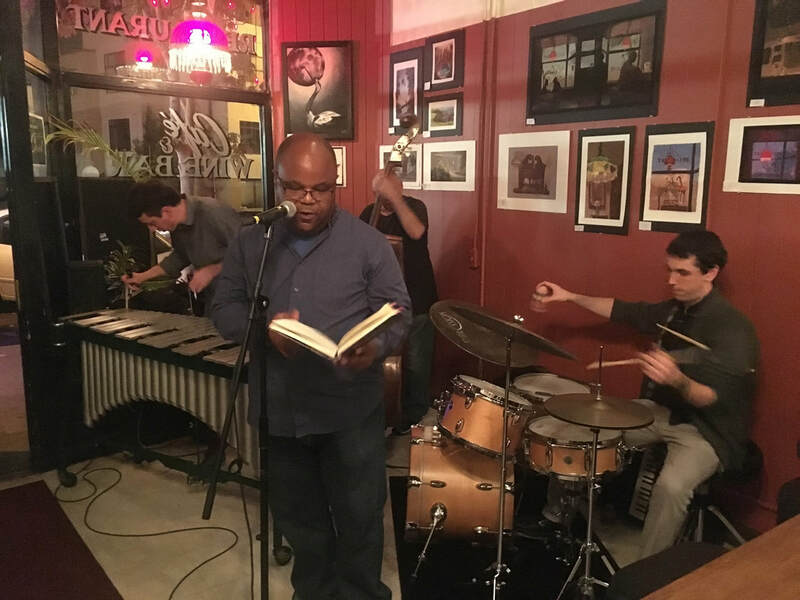 Poets bring in pieces they have written and are thrust into a situation where they must listen and respond just as a musician does to create a genuinely new piece in the moment. This project grew out of a chance meeting between myself and Haiku Poet, Amos White, where we were paired together by David Erdrich to perform a duet at David's show. It was also largely inspired by the teachings of Art Lande, who David and I had studied with extensively at Jazz Camp West.